“This Catholic School will seek to educate the whole person, academically, morally, socially and spiritually through the example of Jesus Christ and the witness of committed capable teachers”. Trinity has 1129 pupils including 230 in the Sixth Form. The school holds a number of awards including; Leading Edge Partnership School, Heathy Schools, International School Award, Arts Mark Gold, Sims Partner School, Sports Mark and Career Mark highlighting the breadth of quality within the school and areas of expertise. The school was inspected in October 2008 by OFSTED and judged to be Outstanding. On our last Diocesan Canonical Inspection we were judged as Outstanding (November 2014). 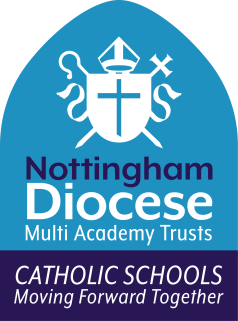 The school promotes involvement in a broad range of extra-curricular activities and celebrates the successes of our children and young people via the school website as well as in school. We promote opportunities both within and outside of the classroom to ensure that all children experience an excellent, rich and varied education to ensure that they are prepared for life after school in further education, employment or training.